The squat is a long-time workout favourite. But did you know it’s also an ancient human action that our ancestors been have doing for centuries? In the past, we squatted to forage for food, to cook, to socialise and to relax. However, thanks to the development of chairs and an increasingly sedentary lifestyle, so many of us in modern societies now struggle with the squat motion. Indeed, if you’re in the gym and ask five individuals to showcase the ‘perfect squat’, you’ll get a wide variety of results! 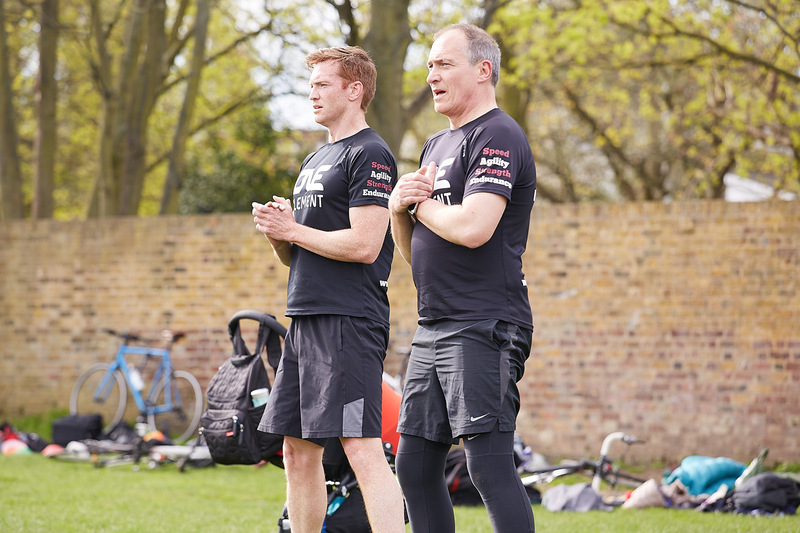 The squat motion is vital in day-to-day life, whether it’s for picking up your children, tying your shoelaces or simply picking up things from the floor. Incorporating this exercise into your workout routine could make a difference in everyday activities by improving your mobility, balance and strength. That’s why we’re bringing you our complete guide to spectacular squats. Let’s get going! Though they’ve gained a rep for toning and shaping your behind, squats actually target multiple muscle groups. They’re an exercise that works your glutes, hamstrings, quadriceps, and even the erector spinae group, the muscles that span the full length your back. The squat also targets your core muscles, as well as a wide range of other stabiliser muscles too. So while they can help give you those peachy glutes, you’ll be working a whole lot more of your body too. Regular squatting can actually promote healthy joints and tissues. This will help you protect against ailments like arthritis and prevent sports injuries too. When you squat, you increase blood flow and oxygen to your hips and knees. These are prime areas for reduced flexibility and aches and pains, especially as we get older. So, introducing a weighted or non-weighted squat into your exercise regime can help keep your joints supple, improving your long-term flexibility and mobility. These days, we all spend too much time hunched over our laptop screens. This is proving terrible for our collective posture, and neck and back alignment. Since squats strengthen your core which engages to give you the perfect flat back as you lower down, this all-star exercise can help you sit up straighter and improve your posture. Stand up straight with your feet a little wider than hip-width apart, and your toes rotated very slightly outwards. Engage your core and straighten your back in preparation for your squat, keeping shoulders relaxed. Bend your knees and lower into the squat, pushing your buttocks and hips backward as if you’re sitting in a chair. Your thighs need to end up being parallel with the ground. Engage your thighs and push from the heels to come back to standing, with the hips fully open and your arms by your side. It’s vital to keep your core engaged and your back straight during your squat. Otherwise you risk back injuries by placing stress on your spine. So be sure that your back isn’t rounding or dropping as your lower into your squat. Look out for the warning sign of your heels lifting off the floor. This means your centre of gravity’s too far forward, and the front of your feet are doing all the work. You should be pushing up from the base of your heels and distributing your weight evenly, so don’t let those heels leave the floor. 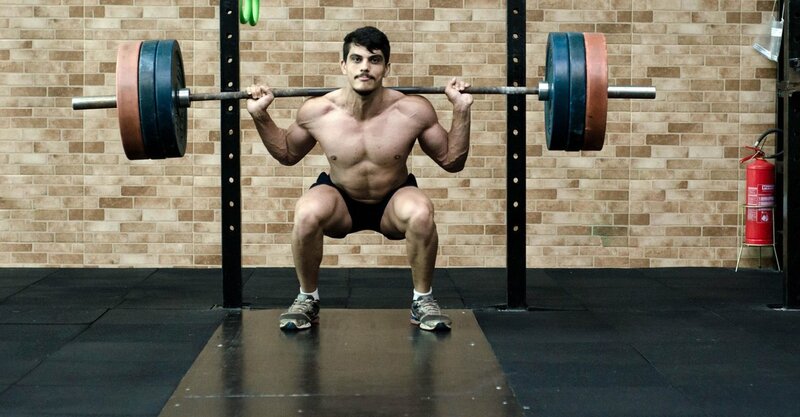 At the lowest point of your squat, your kneecaps should be aligned with the tip of your feet. So, draw an imaginary line upwards from your toes and ensure your knees don’t go beyond it. If they do, you’ll be placing too much stress on your knee joints. On the other hand, if your knees are too far back, you’ll place too much pressure on your hip joints. By placing your knees in line with the tips of your toes, you’ll be in the best position to get the best results from your squats. There are all kinds of varieties of the squat. From the sumo or wide squat, to the single leg squat, to the weighted varieties like the goblet and the barbell back squat. However, before embarking on these more challenging versions, it’s important to have the correct form for the basic bodyweight squat. You need to ensure you’re not doing damage to your body. Looking for a tried and tested workout with a trainer on hand to make sure you’re doing it right? One Element’s positive social training sessions could be the answer. Try a free trial today to see what you could achieve.